The First Baptist Church in Somerville is a fellowship of Christian believers who have maintained a Baptist witness and presented a traditional, spiritual Christian ministry to the community since 1843. We believe that God is a Fatherly Spirit, perfectly good, revealed in Jesus Christ, and working in human hearts through the Holy Spirit. THAT Jesus Christ is God's Son and Man's Savior and Lord. THAT man, being sinful, has need of a Savior, and that through the death and resurrection of Jesus Christ he is reconciled to God by faith. THAT the Holy Spirit, prompting repentance and faith, effects regeneration, justification, and sanctification by means of the truth revealed in Jesus Christ. THAT salvation is present, as well as future, and consists in deliverance from sin, manifesting itself in Christlike character and service. THAT the life of the human spirit is eternal and that the dead are resurrected to experience a spiritual existence in accordance with God's holy and loving judgement. THAT God's eternal purpose is the establishment of His Kingdom, as revealed in Jesus Christ, and that the highest destiny of the Christian is to establish that Kingdom in his life and share it in the life to come. THAT the church of Christ is the company of believers who find a bond of union in a common worship, work, and life; and that its function is to mediate life in Christ to the world and nourish that life in its members; and that its supreme end and purpose is the Kingdom of God. THAT the Scriptures, written by men divinely inspired, afford a rule of faith and practice, both trustworthy and sufficient, and are to be interpreted in the light of a divinely guided religious experience. THAT, according to the standard of the Scriptures, the church organization should be independent, having power to govern itself; and that its membership should consist of those who made a credible profession of faith in Christ and are baptized. The pastor submits the following report for 2015 with the assurance and confidence that God will lead First Baptist and Preschool to greater heights and discoveries in embarking on new directions and challenges for this year and beyond. First Baptist Preschool - We are excited about the passion and enthusiasm of our Preschool Director and staff in working to increase enrollment and maintaining the State regulations and standards of the preschool Christian school curriculum for First Baptist preschoolers. The pastor continues to work with the preschool staff in the areas of staff and leadership development, the selection of religious themes for each month, planning of the preschool worship materials on third Sundays, and participation in the special preschool programs during the year i.e. Christmas Pageant, Easter Program and Thanksgiving. Part-time Church Organist/ Musician – We extend our deepest and sincere appreciation to Ruth Mueller for offering her music gifts and talents for regular Sunday worship services and special services during the year i.e. Maundy Thursday, Christmas Eve Candlelight Service and joint services with Fountain of Living Water Congregation. The pastor will continue to work with our substitute organist/church musician in providing music for regular worship services, special Christian worship services and planning in advance for joint services with Fountain of Living Water congregation. Also, the pastor will continue to work with the church staff in cooperation with the music committee and church council to discuss the next steps in the process for the music ministry of First Baptist. Please pray for God’s discernment, guidance and direction as we undertake conversations for the future direction of our music ministry. Church Secretary - We are happy to report that Jennifer Paternoster will be celebrating her second year at First Baptist Church on February 3, 2016. We appreciate her willingness to grow and expand in ministry areas that will enhance the overall growth and development of the church. Ms. Paternoster will be working extended hours two days a week (paid by the preschool) to assist the preschool staff with registration enrollment, tuition reconciliation, and answering phone calls during preschool staff meetings. We appreciate the secretarial work of Ian Bryant in the absence of Jennifer Paternoster. Volunteer and Ministry Support – We extend our appreciation to the dedicated clergy and volunteers that provided support to the pastor, church staff and membership, special worship services, and community and outreach ministries of the church. Bible Study – We are adventuring through the Gospel of John for 2015. All members, families and friends are welcome to attend. We express our appreciation to all members who were faithful in studying God’s word to grow spiritually in their walk with Christ. All officers, members, families and friends are welcome to attend on Thursdays at 7:00 pm. Pastoral Care and Visitation – The pastor continues to work with the deacons and deaconesses to provide care, concern, and support for members and friends who are in the hospitals, nursing homes, and other facilities that provide for emotional and psychological services for adolescents and adults. All members that are shut-in have the opportunity to be served communion on a monthly basis. Marriage Ministry – The pastor provided pre- martial counseling sessions to Sharon Snyder Hartman and Justin Marchese. We are happy to report they completed their sessions and are now Mr. and Mrs. Justin Marchese. They were joined together in Holy Matrimony at First Baptist Church on Saturday, August 8, 2015. Let us continue to support and pray for God’s guidance and direction of wisdom and understanding for their marriage. Baby Dedication Ministry – The pastor provided an orientation session to Darin and Laura Lentzsch for the baby dedication of their beautiful child, Anneliese Lee Lentzsch. Anneliese was dedicated at First Baptist on Sunday, November 8, 2015. Let us continue to pray God’s guidance, protection to help and support the parents in nurturing the child. Bereavement Ministry to the Members and Families of the Deceased – We extend our prayers and support to all members, families and friends who have lost love ones in 2015. We call to remembrance the late Jean Gale and Evelyn Field and appreciate their dedicated and faithful Christian service to First Baptist. The pastor visited and provided spiritual support to families, friends and former members whose love ones were sick at home, in the hospital and or requested pastoral visitation. Membership Report – In 2015, we had an estimate of visitors of 38 that attended our church and were welcomed during the fellowship period by the church membership. The pastor followed up by letter, phone, and scheduled meetings with visitors during the year. The active membership has decreased due to members who have relocated and or in nursing homes due to health related ailments. The 2016 Church Directory is the most up to date information on the total number of active members in the church. This year we have included in the directory prospective members, friends and former members of the church that would like to maintain contact with First Baptist. The church continues to strive to become a more healthy and faithful congregation in 2015. The following are health and faithfulness initiatives undertaken by the pastor with the church staff and volunteer’s support of the church and community. Fountain of Living Water – The Pastor, officers, and members of Fountain of Living Water met with Pastor Flemmings in March, 2015 to discuss using our church sanctuary for worship services, three rooms upstairs for Youth Bible study, Codington Hall for Adult Bible study and special church events, retreats, vacation Bible School and fellowship activities. Pastor Flemmings submitted FLWC request to the Board of Trustees, Church Council and the members of First Baptist at a special call meeting. 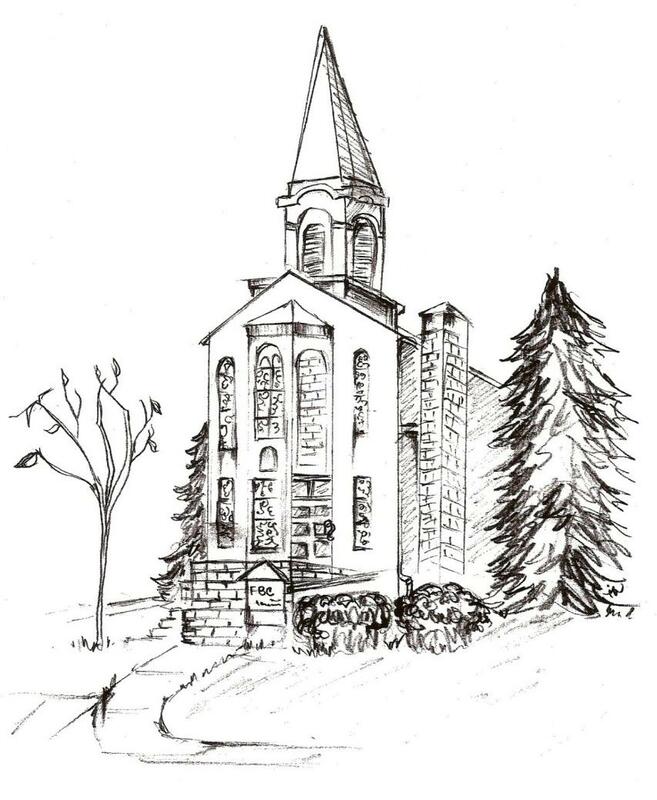 The congregation of First Baptist voted unanimously to accept the one year lease beginning May, 2015 with an understanding that all other services including weddings, funerals, baptisms would be assessed according to our church facility policy and procedures. There is a copy of FLWC lease agreement on file in the church office. Church Retreat – Our Annual Church Retreat was scheduled in May and October, 2015 and rescheduled for April 16, 2016.The 2016 Church Retreat Theme is “Planting Seeds of Growth for the Harvest”. The apostle Paul writes “For we are God’s fellow workers; you are God’s field, God’s building”(1 Corinthians 3:9). Save the date for Saturday, April 16, 2015 from 9:00 am – 3:00 pm at First Baptist Church. Please sign up by contacting the church office at (908) 725-1016. The purpose of this retreat is to come together with American Baptist Churches of New Jersey (ABCNJ) Regional Staff and conduct a comprehensive assessment of the church's health and faithfulness. Let us come and worship, fellowship and plant seeds of growth for healthy and faithful congregation on April 16th. Church Website – The pastor is working with Kevin Butler (Website host and consultant) and Jennifer, our church secretary and volunteers to conduct an assessment of our church website based on current trends for small churches similar in size to First Baptist Church. The following are areas of the church website that need immediate improvement. Redesigning the website with boxes for Services, Location, and Upcoming Events. Revised Monthly Calendar of Events. Pictures of Church, Preschool, and Community events and activities. Missions – We are thankful for the demonstration of God’s love by the membership of First Baptist for their continued support through their prayers, financial contributions, and donations to “One Great Hour of Sharing", Retired Ministers and Missionaries offering and to our mission partners in Russian, Haiti, and the Democratic Republic of the Congo. We have witness a drastic reduction in our missions giving in 2015 due to the church’s current financial condition. It is strongly recommended that First Baptist rethink its church priorities and maintain a level of funding for missions in the near future. The fifth Sunday’s mission emphasis seeks to increase our awareness of missions locally, nationally and in the world. Our speakers for 2015 included: Rev. Kenneth J. Mart, Retired Minister and Missionaries; Amanda O’Neil, First Baptist Preschool, Jennifer Hodulik, Middle Earth; and Rev. Cliff Walling, Somerset Jail Chaplaincy. Please feel free to share with Pastor Flemmings and or Rev. Mart, Mission Coordinator any suggestions you may have for Missions speakers in 2016. Rally Sunday – Fountain of Living Water and First Baptist worshipped together as Christian believers to renew their commitment to Christ and his ministry in growing disciples for the Kingdom of God. Following morning worship service we gathered downstairs in Codington Hall for fun, food and Christian fellowship. Vacation Bible School – Fountain of Living Water and First Baptist sponsored Vacation Bible School for children ages 5 thru 7 and the young adults served as youth leaders assisting the adult teachers and staff with curriculum and recreation activities. The total number of participants was eighty children and youth. The 2015 theme was “Climbing Mount Everest: Conquering Challenges with God’s Mighty Power”. The dates were July 27-31 from 9:00 am.-12:30 pm. First Baptist Preschool – Every Third Sunday of the month the Preschool families and staff are invited to attend church and participate in the worship service. The Preschool director provides the church membership with an update on programming and activities. Also, a presentation is given on the biblical theme for the month by the preschoolers. The pastor works with the preschool director and staff in presenting the biblical theme for each month. The Christmas Care Program was sponsored jointly by the Somerset Jail Chaplaincy and First Baptist Church. The program provided toys during the Christmas season to families and children of inmates incarcerated at the Somerset County Jail. We are grateful for the support and participation from local area churches and volunteers in assisting in the transporting and distribution of the toys to families. Approximately 60 families benefited from this program. It is recommended that the Deacon Board coordinate this outreach ministry for 2016. The pastor and church staff will assist the deacons in the coordination of activities for this program. The mission of Middle Earth is to provide individuals, primarily youth with prevention, intervention and crisis services to help them to develop into responsible and productive members of the community. The church has for the third year provided allocation of space in the (Upstairs Youth Room) for Middle Earth staff and the youth in Somerville. The Community Youth meet on Tuesdays and Thursday, from 3:00 to 7:00 pm. The purpose of the Center is to provide a safe place for youth and free time in a constructive environment manner after school. Also, to provide a support system in working with youth , focusing on academic achievement, good physical and mental health, positive, social and emotional development and recreational activities in building long–lasting trusting relationships and self-esteem. The donation of $140 monthly was increased in 2014 to $175 to cover the cost of heating expenses during the winter months. Clergy Prayer Vigil for the Nine Family Members Killed in Charleston, South Carolina. Easter Sunday Sunrise Service - was held at 8:30 am at the Lord Fountain (Grove and Main) on Easter Sunday, April 5, 2015. The guest speaker was Pastor Maurice Daniels of St. Thomas A.M.E. Zion Church, Somerville, New Jersey. We had clergy and members from other churches to attend and participate in the worship service. The Host Pastor was Pastor Paul Janssen of United Reformed Church, Somerville, New Jersey. ABCNJ Watchung Annual Association Summer Rally - Pastor and Jackie Flemmings represented First Baptist at the ABCNJ Annual Meeting at First Baptist Church, Madison, New Jersey. The annual meeting was on Sunday, July 12 at 5:30 and representatives were present from local churches of the Watchung Association. Pam Reed, Moderator presented a slideshow commemorating the 50th Anniversary of the March from Selma to Montgomery which led to the Voting Rights Act of 1965. Annual Dr. Martin Luther King Day Service – The host church for honoring the life and legacy of Dr. Martin Luther King Jr. was First Baptist Church, Somerville, New Jersey, Host Pastor, Loreno R. Flemmings. The 2015-16 Theme was “A Cry for Justice” and the scripture passage was Luke 18: 1-8. The guest preacher was Rev. Maurice Daniels, Pastor of A.M.E. Zion Church, and Somerville New Jersey. The sponsors of this Annual MLK Service were Clergy United for Christian Ministry and Somerville Area Ministerial Association (SAMA). We would like to thank the Fountain of Living Water Pentecostal Church for their support and participation in the MLK service. Special thanks to host committee and the dedicated volunteers from First Baptist Church that prepared the food, and coordinated the many program events and activities for the worship service. We expressed our appreciation for the support of the clergy, borough officials and representatives, youth participants, and members and friends from area churches and community residents that worked diligently to honor the life and legacy of Dr. Martin Luther King Jr. through their unselfish service rendered on this date. Somerville Area Ministerial Association – the pastor serves on the SAMA Executive Council and has been actively involved with SAMA. The purpose of SAMA is to pray, support and participate with other clergy to discuss and address major church and community social, economic and spiritual issues and concerns. SAMA invites various speakers to address these issues and concerns in a forum. ABCNJ Watchung Association – the pastor serves as a member of the association and exchange information and support, pray and fellowship with other clergy of the American Baptist Churches of New Jersey. Clergy United for Christian Ministry – the pastor serves as a member of CUCM and attends the monthly meetings. The purpose of CUCM is to provide support and fellowship among Christian clergy; gather information and share concerns; stimulate dialogue and develop understanding in the communities in which we live; and when necessary, provide unified response to community. Somerville Community Association – the pastor serves as the Chairperson of Advisory Board. SCA sponsored a Community Luncheon at 12 Noon on Saturday, November 7 at First United Methodist Church, 48 W. High St, Somerville. The topic was "Affordable Housing in Somerville". All community residents were invited to attend. Somerville Community Association (SCA) and Clergy United for Christian Ministry (CUCM) hosted a community forum at St Paul Baptist Church, host pastor, Rev. Reggie Hall on November, 2015. The purpose of the meeting was to discuss the Somerville Police Department‘s plans to reduce violence, drug activities, loitering and other related issues in the Somerville community. Police Chief Manning was the guest speaker and the community residents were invited to attend. National Day of Prayer – was held in front to the Somerset County Courthouse on Thursday, May 7, 2015 and guest speakers from the clergy, local government, education, media, business military and families, children and youth. The theme for this occasion was “Lord Hear Our Cry” and the scripture was “Regard your servant’s prayer and his plea, O Lord my God, heeding the cry and the prayer that your servant prays to you today” (1 Kings 8:28 NRSV). It was recommended that the members of the Bible study class along with the church membership support this day of prayer and participate in the service on Thursday, May 7, 2015. The 24th Observance of the National Children’s Sabbath was held at First Baptist on Sunday, November 11, 2015. This observance is sponsored by the National Children’s Defense Fund and the goal is to bring awareness of the thousands of children who lack adequate health care, education and housing in America. The theme for the 2015 observance was entitled “How Long Must I Cry for Help?” Bending the Arc toward God’s Vision of Justice for Children”. The scripture text was from Habakkuk 1:1-4; 1-5. The guest speaker was Rev. Donna Beardsley and her topic was “Our Call to Protect the Least of These”. We extend our appreciation to all participants, members, family and friends that join in a call for action on behalf of our children living in poverty. American Baptist Churches of New Jersey 43rd Annual Session and the 184 Meeting of Baptists in New Jersey – ABCNJ – A Region of Caring Pastors, Caring Churches and Caring Mission”. The annual session convened at the Hyatt Regency, New Brunswick, New Jersey on September 27, 2015. The theme of the 2015 ABCNJ Annual Session on “Testify” placed great emphasis on this year’s annual gathering of ABCNJ coming together to testify about our great Savior, and the works being done for His Kingdom through our region! We witness to the Spirit's work among us and celebrated together the ministries that our regional family of churches have engaged in during 2015. The highlights included presentations by several pastors of the region to provide a testimony from the Pastor’s testimony book. Ministry report presentations were given by regional staff and a special report on “Religious Liberty and the Persecution of Christians and Other Religious Minorities”. Dr. Alistair Brown addressed the 2015 ABCNJ Annual Session theme at the recent 2015 American Baptist Churches of New Jersey. The Annual Session was held at the Hyatt Regency Hotel in New Brunswick, New Jersey. Over 600 people who attended the annual gathering heard the plenary address of Dr. Alistair Brown, president of Northern Seminary, an ABC-related school. We had five representatives from First Baptist that attended the session. They included: Deacon Robert Bryant, Rev. Donna Beardsley, Deborah Fitzgerald, Pastor and Jackie Flemmings. The pastor submits this 2015 report with great joy and promised for the future of First Baptist. The prophet Isaiah reminds the people of Israel and each of us today that God will remove all obstructions, bear them up under all discouragements, and carry them through all difficulties. Our God will also do the same for our church staff, officers and members of First Baptist Church. The challenge is to stay your course in the midst of setbacks and challenges, refuse to allow the enemy to derail you and trust God to guide you through your current perspective and circumstances, to His promise of victory.